Today Hud listed a foreclosure in Newbern at 822 Granite Drive. It is listed for $77,500 and only owner occupants bids will be opened in next 10 days. 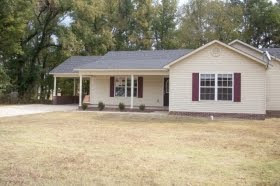 This Newbern foreclosure is a 3 bedroom 2 bath with single car carport. It last sold for $107,500 back in January of 2007. The county has this house appraised for $115,600. If you are interested in purchasing this home to live in please call me in the next few days, Here is a link to the listing.